A portion of Highway 50 in the Sierra was shut down after part of the road buckled, causing the shoulder to collapse. The westbound shoulder completely collapsed, and the No. 2 lane was buckling, causing possible problems for the No. 1 lane. The road was reduced to one lane in each direction for the next few months as repair work was performed to stabilize the slope. 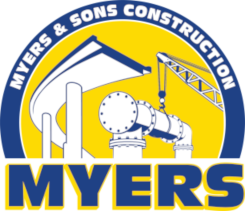 Myers and Sons Construction's scope of work for this emergency project included solider pile wall construction with tie backs, rebuilding collapsed portions of the roadway, installation of concrete barriers and roadway paving.